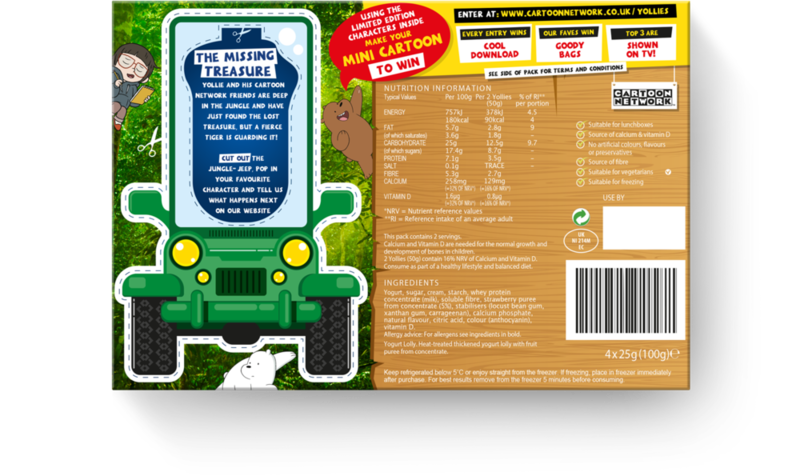 Leverage the power of Cartoon Network to get mums and kids excited about Yollies frozen yogurt via an on-pack promotion. 'Yollywood' inspired kids to get creative and produce their own blockbuster cartoon with cut-out scenes and on-pack accessories. Yollywood showreel: How to direct your own cartoon classic. 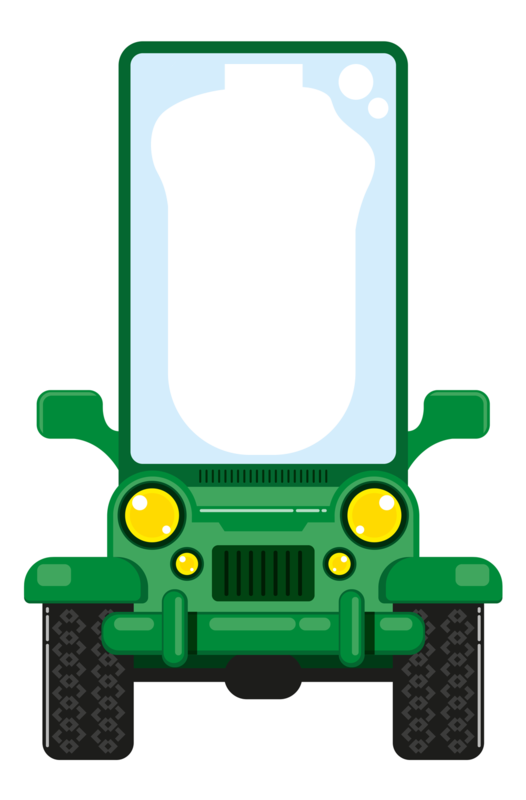 Yollie-mobiles: Cut them out from back of pack and place any character inside. Find limited edition Cartoon Network pods in pack. Collect all six unique cartoon scenes and Yollie-mobiles on pack.